David Beckham has reportedly contacted Mesut Özil regarding a possible move to Major League Soccer. Beckham, the owner of Inter Miami, is looking to take advantage of the German’s increasingly dismal outlook in North London. The attacking midfielder, who joined the Gunners in 2013, has found himself sticking out in Unai Emery’s new-look Arsenal. Subsequently, the club are reportedly ready to move on. A variety of options seem to be on the table for the 30-year-old, including a move back to Real Madrid. However, BILD claim Becks has mad his pitch to the former German international to make the trip stateside. Inter Miami will play their inaugural MLS season in 2020, so any deal would presumably involve Özil being loaned out back to Europe until the Florida outfit called upon his services. 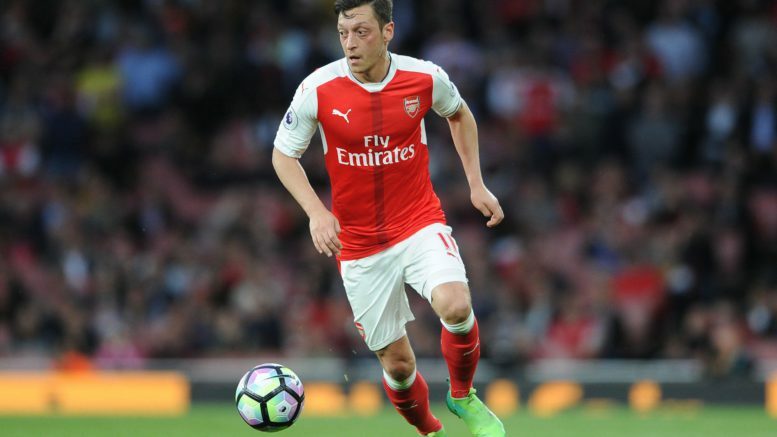 Be the first to comment on "ARSENAL PLAYMAKER MESUT ÖZIL CONFIRM CLUB HE’S JOINING NEXT"